Businesses are pressured to produce more content every day. Blogs, Facebook, Instagram, Twitter… the content monsters demand to be fed. And, visual content has been shown to be the most popular with buyers – so it’s in the greatest demand for marketers. But, it can also be hard to create. Most small businesses don’t have an on-staff photographer and graphic designer to take care of their visual content creation. And if you’re starting a new business, you’re looking for ways to conserve your money to give yourself a better chance to succeed. That’s where stock photography sites come in handy. Stock photography sites can provide the raw images that you can creatively transform into valuable visual content. They can also supplement the written content you’re already creating. But, not all stock photographs are licensed for commercial use. And some have strict requirements about attributions and restrictions on modifications. So, how do you safely use stock photos without getting into legal trouble, spending a lot of money for licensing fees, or getting caught in a web of complex licensing rules? We’ve found that by sticking with certain reputable stock photography sites, it can actually be pretty simple. To save you the hassle, we’ve assembled a collection of our favorite stock photos sources just for you. And, the answer is – yes. We wholeheartedly believe that stock art and photography have no place in your core visual branding materials. Stock art is available to everyone. And, for that reason, it can never be unique enough to create a differentiated visual brand. You’d just blend in with all the other businesses using that same stock art. For the full details on why stock art is bad for your brand, just click that link above. But, stock photography can play a role in creating massive quantities of visual content needed to keep the social media engine running. And, it can be used as supplemental visuals for blog content. 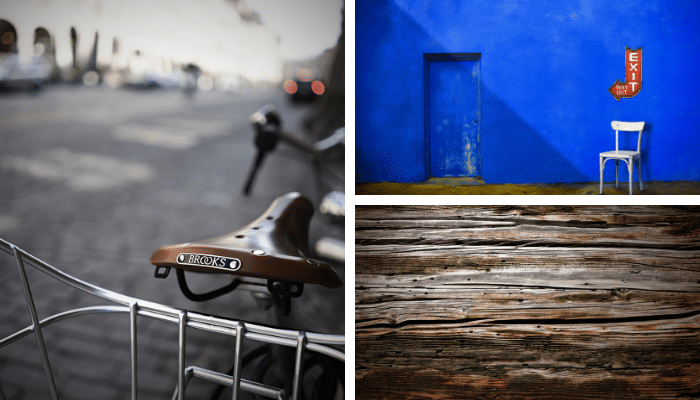 Should you use stock photography for your website homepage? No. 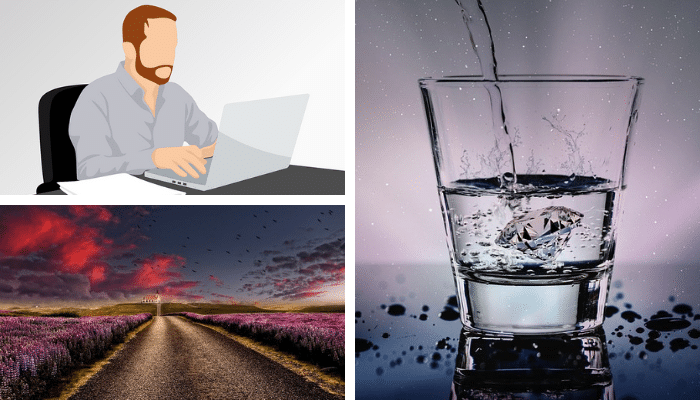 Can you use stock photography for an image in a blog article? Yes. Should you use stock images or photo for your company logo? No. Can you use a stock photo or image to create content for a Facebook post? Sure! Stock photography and art can’t be used to replace an authentic, consistent visual brand identity. But, stock photos can supplement an already established brand identity. Just choose photos that don’t contradict your existing brand. 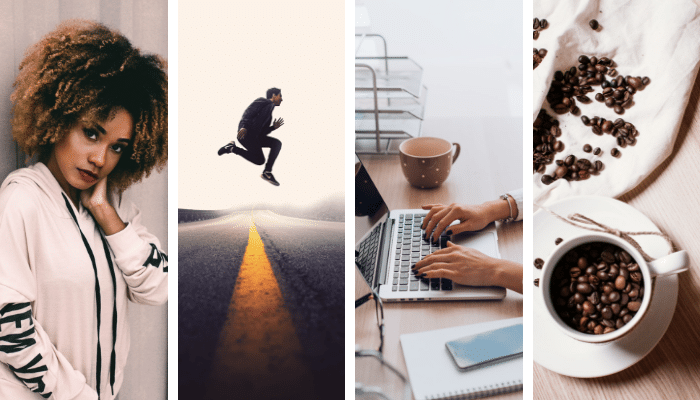 So, now that we know the ground rules for when it’s okay to use stock photography, let’s take a look at the best sources for acquiring free, high-quality stock photos. The stock photography hub Pexels offers a wide selection of hand-curated photos from over 80,000 photographers. And, they add new photos regularly. Pexels features a user-friendly interface that allows you to search for photos by keyword to find just what you’re looking for. And, they have a sizable assortment of business photos that come in handy for blog posts. One of our favorite features is that you can download the images in your custom size specifications. Trust me – this is a life-saver! And, all of Pexel’s photos are free to use – even commercially. Check out their license details here. Unsplash claims to provide “photos for everyone.” With a vast collection of over 800,000 photos, they may be right. It’s easy to search for photos using keywords. But, Unsplash also has a detailed category system including topics like Textures & Patterns, Nature, Business & Work, and Current Events. This offers a helpful way to find new photos you may not have considered. Unsplash grants you an irrevocable, nonexclusive, worldwide copyright license to download, copy, modify, distribute, perform, and use photos from Unsplash for free, including for commercial purposes, without permission from or attributing the photographer or Unsplash. Read their full license details here. Pixabay is unique in that it offers vector art, videos, and illustrations as well as stock photography. And, their collection is huge – more than a million images! 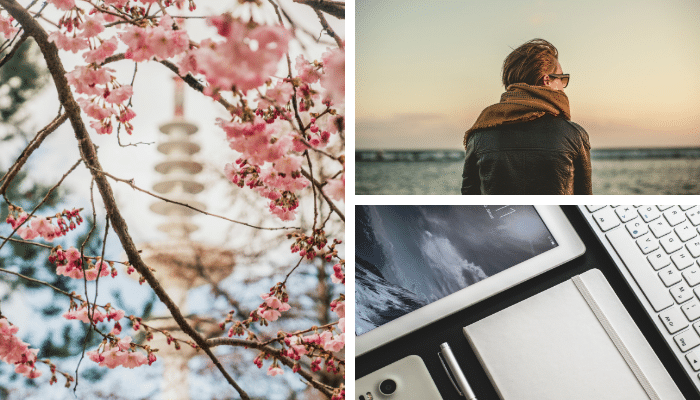 Like Pexels and Unsplash, it’s easy to search for photos and art using keywords. You can also filter your search by photography, illustration, vector or video. Some of the art and photography on Pixabay can be a little… odd. I’ve found that if you’re having trouble finding what you need elsewhere, that you may have luck at Pixabay. And, all of their art is completely, awesomely, free to use. Check out Pixabay’s license details here. ISO Republic’s collection is a bit smaller than Pexels, Unsplash, and Pixabay. But, they offer both beautiful high-res photos and videos for free. You can search by keyword or category. 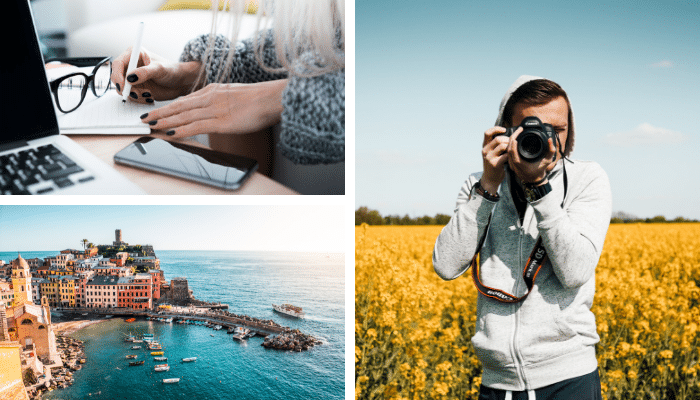 And, you can also sign up to receive their latest stock photos straight to your inbox, providing you with a regular supply of new stock photos without even venturing onto the web. ISO Republic has partnered with Adobe to offer 1 free month of Adobe Stock (a paid stock service). And, they’ve also recently launched a blog with photography and video tips and inspiration for photographers. If their recent actions are any indication, this platform is looking to grow and worth keeping an eye on. Learn more about their licensing details here. StockSnap is a constantly-growing stock photography resource. They add hundreds of new high-quality images on a weekly basis. And, like all the other sites on our list, you can use their photos for absolutely free. StockSnap’s photos are all tagged for content and concept. This allows them to offer a great search tool that delivers results for both literal content keywords and for broader concepts like “happy” or “serene.” And, you can browse by popular categories like food, design, nature, or (on Monday mornings) coffee. StockSnap also can email their most popular photos every week. Read StockSnap’s full licensing details here. Reshot considers itself the anti-stock stock photography site. They offer “handpicked, non-stocky images.” And, they have quite a collection to choose from. Reshot values quality over quantity and claims that “authenticity is everything”. 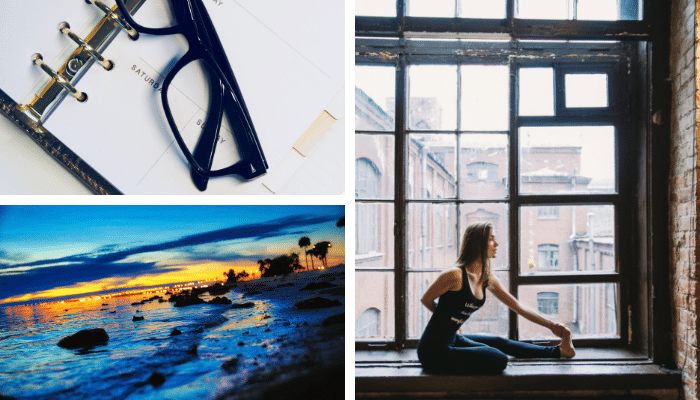 If you’re looking for stock photos with a fresh perspective, then Reshot might be your jam. Check out Reshot’s complete licensing info here. 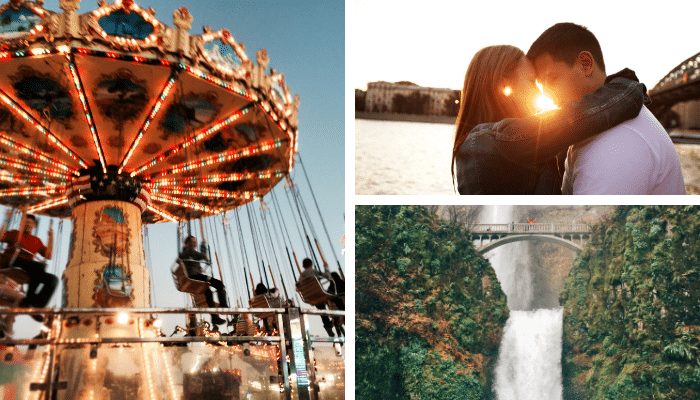 PicJumbo is an interesting stock photography site – they allow you to download individual free photos or their entire collection of free photos. In addition to their free section, they offer a premium service with a deeper well of images. And, despite their paid service, PicJumbo doesn’t shirk on the number of free photos they offer. As per usual, you can search using keywords or browse from their pre-set categories. And, if you actually like getting email, you can subscribe to their newsletter to get new free stock photos delivered regularly. I’m just a guy who shares his photos to the world. For free. Get the full licensing details here. Good stock photography has its place in the world. That place is not in your most important branding material – like your logo, website, or social media profiles. But, free stock photography is a great solution for harried content and social media marketers who are struggling daily to keep their content calendar full. 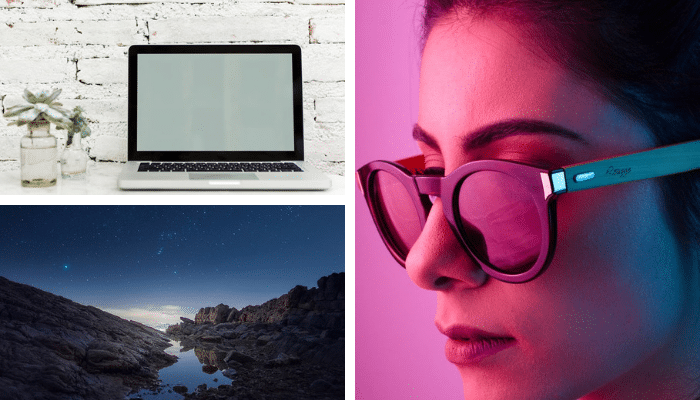 These 7 quality stock photo sites will help your marketing team deliver the visual content they need. They’re simple to use and they’re free.